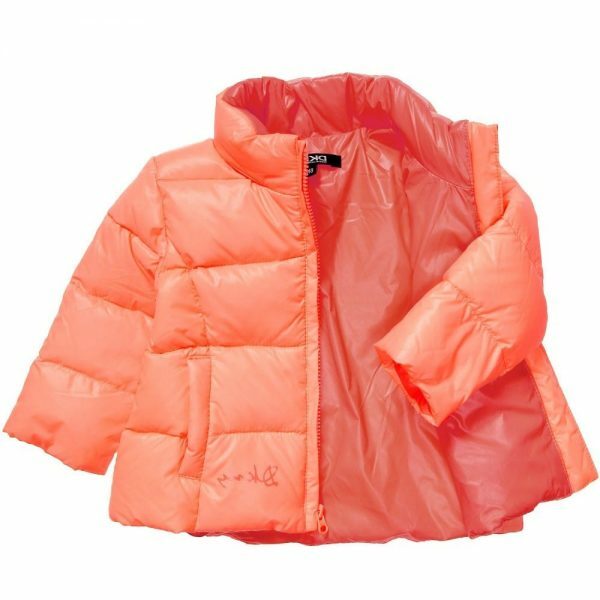 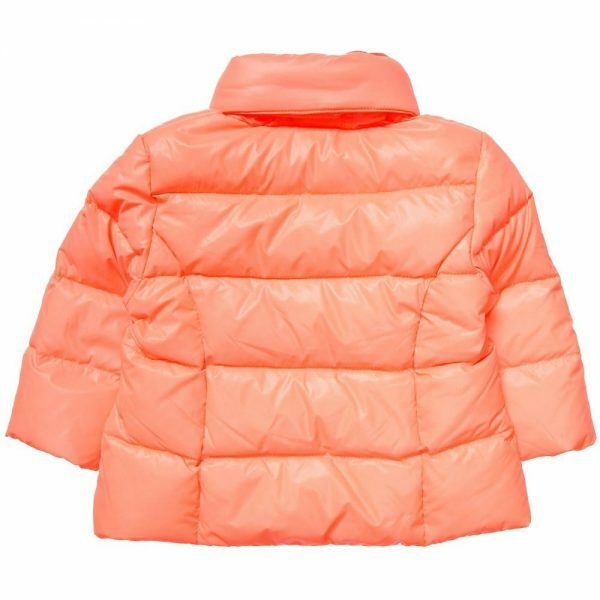 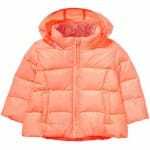 This bright coat from DKNY is perfect choice for parents who care about warmth and comfort of their child. The padding is filled with down and feather. 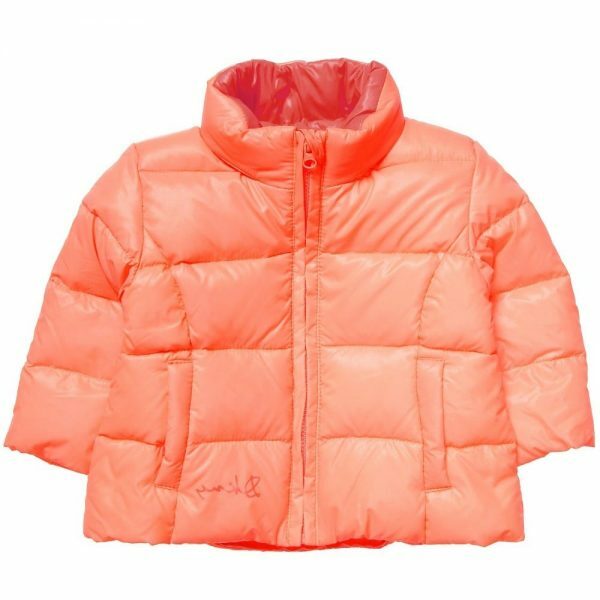 This model fastens with zip and has 2 front pockets. There is silky smooth lining which made from polyamide. 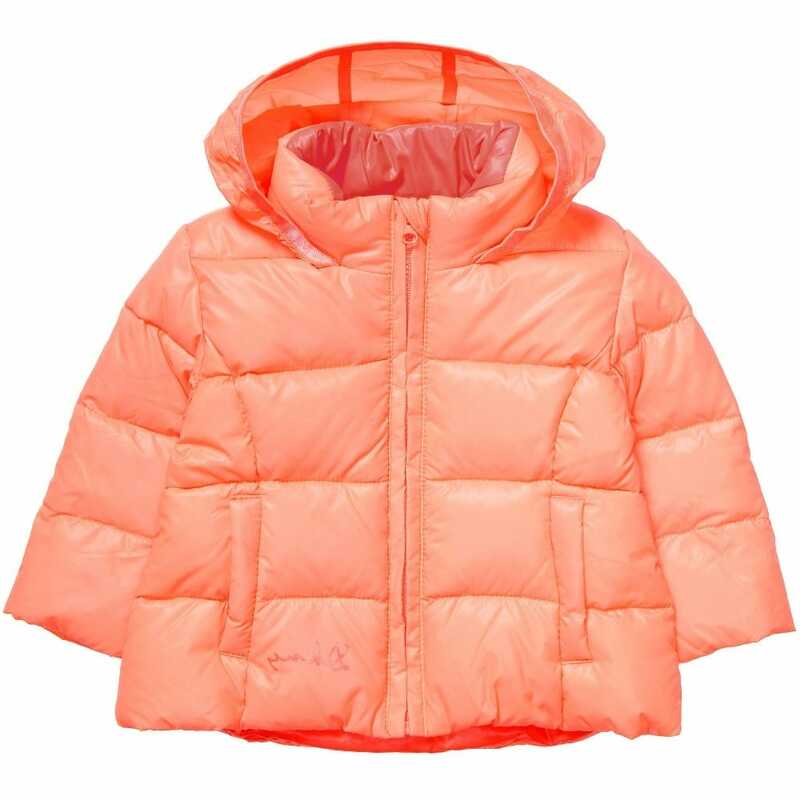 Machine wash is recommended (30*). There are different sizes for girls aged from 12 months to 3 years.